NATS member Filipa Martins Baptista Lã from Aveiro, Portugal has been selected as winner of the 22nd Annual Van L. Lawrence Fellowship Award. The Voice Foundation and National Association of Teachers of Singing Foundation have each contributed $1,000 to the Van L. Lawrence Fellowship fund. The $2,000 award will be presented on Friday, May 29, during the Voice Foundation's 44th Annual Symposium: Care of the Professional Voice, in Philadelphia. Filipa Lã is the first NATS international member to win the Van L. Lawrence Fellowship Award. 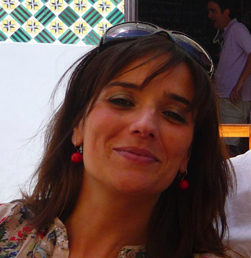 Filipa Lã is an Assistant Professor in the Music Department of Communication and Arts, National Institute of Ethnomusicology, Music and Dance at the University of Aveiro, Campus Universitário de Santiago in Portugal. She teaches both undergraduate and postgraduate studens in her role and also works as a freelance singer and manages a private studio. Her qualifications also include a PhD and Master's Degree in Performance (Siging), both awarded by the Music Department at the University of Sheffield, U.K. Her Bachelor's Degree in Science was awarded by the University of Coimbra, Portugal. In 2014, Filipa Lã was also elected as a permanent member of the The Pan European Voice Conference Advisory Board and as an associate editor of the Journal Logopaedics Phoniatrics Vocology. 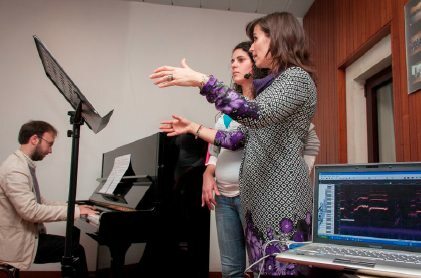 According to the her submitted proposal,Filipa Lã's area of intended study using the Van L. Lawrence Fellowship Award focuses on understanding the impacts of the provision of real-time feedback of airflow during exercises of semi-occluded vocal tract gestures. The primary question is whether the provision of such feedback offers long-lasting glottal waveform effects toward flow phonation behaviours (translated in higher maximum flow declination rate).